The most awaited festival of the year is around the corner and it’s time to exchange sweets, decorate our homes with lights and diyas with the hope that light could win over darkness. With all our little wonders at home, we need a plethora of activities to keep them occupied and at the same time strengthen the relation of love, bonding and accelerate affection and appreciation in them. 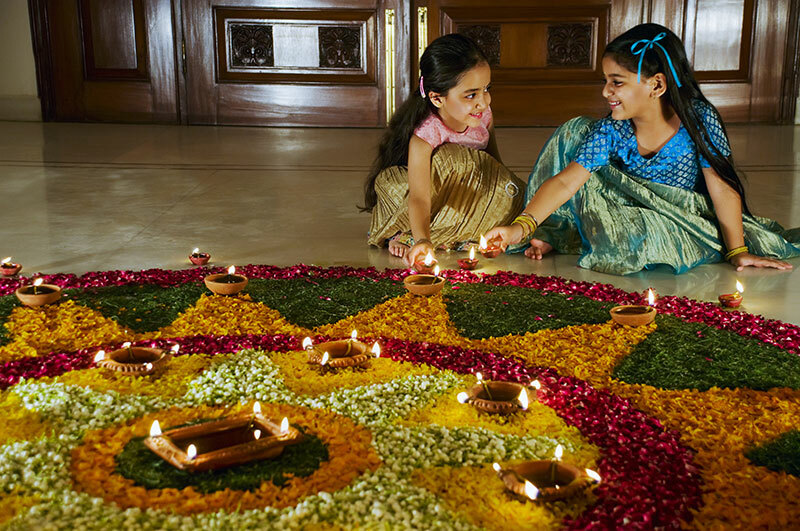 Here are some exciting and fun-filled activities and tips to keep your children happily engaged and make Diwali more creative! Materials required: Earthen diyas, watercolours marker, brushes, decorative items and fevicol. 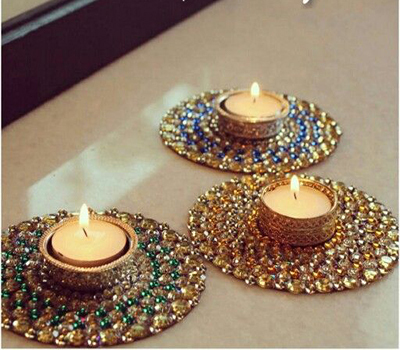 Procedure: Dip a paint brush in any colour of your choice and paint the diya. Allow the paint to dry. Parents can use a marker to mark the spot where children can stick decorative items or glitter with fevicol. 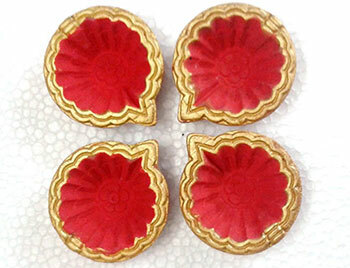 Decorative items can include studs, glitter, smiles, pears and many more. Developmental domains: This activity helps in developing imagination, creativity, enthusiasm to explore, enhance cognitive skills, helps children to recognise different colours and enhance emotional bonding with parents. 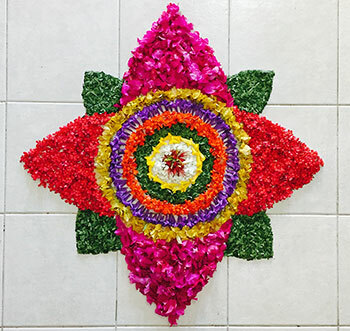 Procedure: Parents with the help of a chalk can create a design on the floor and children can decorate it with colourful flowers (whole or shredded) on the design. Parents can use different types of leaves to decorate the pattern. Developmental domains: Children will develop cognitive skills, learn the names of different flowers, aesthetic sense, creativity, colour coordination skills, recognise shapes and patterns and develop scientific temper by learning about concept of flowers and leaves. Materials required: Old CD, paint, brush, glue and decorative material. Procedure: Children can use paint and brush to cover the upper side of a CD, fevicol and decorate it with decorative materials like pearls, studs, laces, glitter and glitter cello tapes. Developmental Domains: – This activity will develop creativity, space relations, mathematical skills of patterns and figures, cognitive skills of naming colours and objects, aesthetic and artistic skills. Procedure: Parents can melt the chocolate on a double boiler add condensed milk. 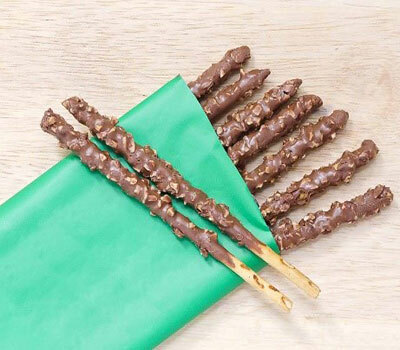 Children can stir the mixture, dip a breadstick or a choco-stick and decorate it with gems or grounded nuts as given in the picture and freeze. Developmental Domains: Children in this activity will develop creativity, space relations, mathematical skills of patterns and figures, cognitive skills of naming colours and objects, aesthetic and artistic skills. Authored by the research team at Aptech Montana International Preschool.